Check out some of the camp experiences from over the years and subscribe to our social media channels to discover more. Still not sure if BOSS Sikhi Camp is for you? Want to know more about the application process or what goes on at camp? Check out our frequently asked questions below to find out more or alternatively get in touch with us. We would love to hear from you! 1. 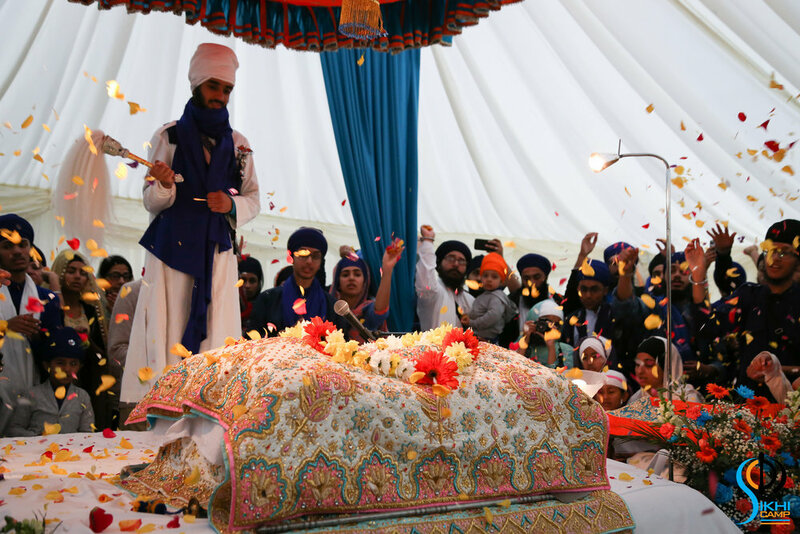 What is Sikhi Camp? 2. Who organises Sikhi Camp? 3. What will I get from attending? 4. Where will Sikhi Camp take place? 5. How will I get to Sikhi Camp? 6. What are the facilities like at Sikhi Camp? 7. How many people will be at Sikhi Camp? 8. Will I fit in? 9. What does an average day look like at Sikhi Camp? 10. What is the food like at Sikhi Camp? 12. Do I need to take out personal insurance for the week? 13. Is there any entry criteria? 14. What is the application procedure? 15. I have applied but cannot make it to camp anymore. Can I cancel my place? 16. I have more questions can I talk to someone before applying? Established in 1996; Sikhi Camp takes place each year and is a 6 day residential based retreat. The camp aims to attract young people who wish to learn more about Sikhism which they can’t always obtain from the local Gurdwara. This Sikh camp for adults will provide you with a real living experience of being a Sikh and following a daily routine that will progress your spirituality. Along with meditative and learning sessions such as Kirtan, talks in English and informal discussion sessions, you can also take part in outdoor activities such as sports and hiking to help balance the week and make it an overall fun learning experience. You will also have the opportunity to volunteer should you wish to do so in various areas such as Langar (kitchen) and Darbar Sahib (Gurdwara hall/tent). The camp is primarily for young new comers and those who are new to this rewarding way of life. There are no pre-requisites as to how religious or spiritual you are or how much you know about Sikhism or even Panjabi. You most definitely do not need to be Amritdhari(baptised) or even keep uncut hair to attend camp. All we ask is that you come with an open mind and the want to try something new. Sikhi camp is organised under the umbrella of the British Organisation of Sikh Students (BOSS). 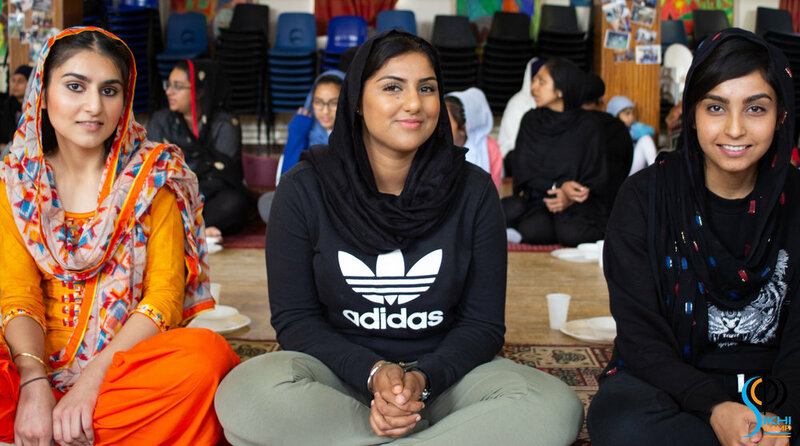 BOSS has been working with young students across the country for over 30 years, primarily through Sikh Societies, as well as organising other events such as talks, fun days for young children and providing free literature. Sikhicamp will be organised and delivered by volunteers, no one is paid a salary, and all camp fees go into the actual cost of running the camp. This is always hard to answer as it really depends on what you want from camp. Some people go away and look back as it being a good week away from the world and gained some spiritual knowledge at the same time. Whereas others (and we are talking the majority here!) look back at it as being a major milestone in their life which changed their purpose and direction of living. We strive to get you to the latter feeling but what you will get is what you seek, it’s there for the taking if you want it! The location is not disclosed unless you have been successful in securing a place at Sikhi Camp. This just adds to the suspense and mystery and avoids sending back gate crashers! What we can say is that it will be far away in the countryside (usually around Wales) and will be based at a residential and outdoor education centre that specialises in accommodating large visiting parties i.e. schools, youth groups etc, so no, you won’t need your tent! Transport is provided in the fee that you pay for Sikhi Camp. It will be in the form of coaches and the pick up points are usually from Birmingham, Leicester, Coventry, Southall, Leeds, Bradford and Manchester. However these can change depending on applicant’s locations. You will be notified of the final pick up points well in advance and you will have an opportunity to select the most suitable pick up point for yourself. We cannot allow campers to bring their own vehicle due to site insurance and the site Health and Safety policy. As mentioned above the centres we use are experts in accommodating large groups and that is their core business. No matter which centre we use sleeping facilities will be a mix of small to medium sized dormitories (2-10 people). Some singles room may be available and will be provided if required for medical reasons. We encourage you to mingle and get to know each other to help and learn from one another, there’s no point being unsociable and locking yourself away! Some of the best of friendships are formed in these dorms and we cherish these type of sleeping arrangements for that reason. You can, of course, be grouped with friends. Be rest assured we follow a strict sleeping arrangement, males and females will be in separate areas of the building and where possible, in different buildings. This varies each year but on average we have about 180 campers ranging from 16 to 60+. There are also around 80-100 Sevadaars (helpers) who attend to help out for the week too. Of course you will. Everyone is welcome regardless of your background, race, ethnicity etc. As long as you are over 16 and happy to adhere to the rules and regulations you are eligible. There will be hundreds of people just like you at Sikhi Camp so youíre bound to make new friends. Campers come from all walks of life, each bringing their own experiences and unique perspectives. On average around 70% of those who attend are what we call ‘First-timers’ (attending Sikhi based retreat for the first time in their lives). The timetable for Sikhi Camp changes from year to year as we try to incorporate new ideas into the Camp to make it more enjoyable. The mornings will tend to incorporate some meditation, thought-provoking talks, group discussions and Q&A sessions. After lunch there are a host of activities that take place, in the past we’ve had loads of water sports, hiking and Olympics. The evenings typically involve a short Kirtan Darbar (meditation session) and sometimes an informal evening talk or presentation. As per the Sikh tradition, Sikhi Camp follows a Lacto vegetarian diet throughout the week (no meat, fish or eggs). However, your personal diet choice will not impact your application so please do not let this deter you from applying. Every year we provide a mix of Panjabi and Western food like Roti and Daal and Pizza and Chips (not together!). We try to cater for special dietary needs, if you have any questions about this please let us know once you have applied. If you have the time and energy you can help in the kitchen in between the timetabled sessions. The cost of camp is extremely high and is subsidised by fundraising throughout the year. It costs on average £380 per person to run the camp. Thus we do ask campers to contribute to the costs by paying just £149 each. This covers transport from various pick up points across the UK, meals throughout the week, board and activities. Every effort will be made to ensure accidents do not occur, however, Sikhi Camp cannot accept liability for any injury incurred as a result of such an accident. Any concerned person is advised to take out adequate personal insurance for the duration of the Sikhi Camp. You need to be over 16 to attend, that’s it! You can apply to Sikhi Camp using the registration form on our website. This is a secure form which uses a leading internet commerce company (called Stripe) to take your payment. They charge a small fee per transaction but means the whole process is secure and safe to use. You will receive confirmation via email once you have submitted your application. If your application has been successful, the Sikhi Camp admin team will let you know within 14 working days via email. Around July we will send you a welcome pack which will explain what happens in more detail and contains a vital recommended packing list too. The BOSS Sikhi Camp team regret to say that they cannot offer a refund if you are unable to attend or have changed your mind. Under exceptional circumstances, we may be able to offer you a full or partial refund. Please contact admin@sikhicamp.org if you think this may be the case. Due to the nature of the booking process, strictly no refunds are available if you cancel two weeks before the start date of camp. 16. I have more questions: Can I talk to someone before applying? Sure, just drop an email to info@sikhicamp.org or call 07935 900 546. We are also keeping up with the times so you can follow us on Twitter, Facebook, Instagram, Soundcloud and YouTube by searching for Sikhi Camp. For the latest information you can Sign up for our free newsletter too. The official BOSS Sikhi Camp application form for 2019 is now open! *For your peace of mind and to protect your personal information we would like to assure you that the form we use is a secure online form hosted by the same online company used by the likes of Amazon and Microsoft. Once you have completed the form you will be directed to the payment page which is again securely hosted by Stripe (an online payment platform used by thousands of other companies such as ASOS and Oxfam). Please get in touch if you have any questions. You can call/WhatsApp or text us on the number below or email us using either the address below or the contact form provided. We would love to hear from you!